Forrest Little Golf Club was designed by Fred Hawtree and measures out at more than 6,500 yards from the back tees, with a par of 71. Notable for its lush vegetation and well maintained fairways, Forrest Little has been the host of multiple Golfing Union of Ireland tournaments and was a qualifying course for the Irish Open for many years. Forrest Little Golf Club attracts a slew of local and travelling golfers who are looking for a firm test to their game. We are located adjacent to the village of Swords in North County Dublin, within easy reach of Dublin Airport, the M1 and M50 motorways as well as a number of friendly and accessible Hotels. 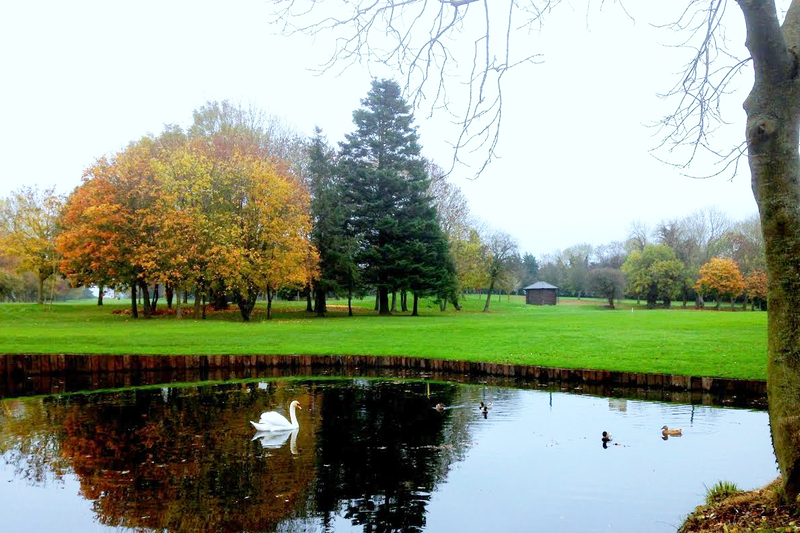 The 18 hole parkland design presents a great challenge to golfers of all skill levels with it’s tree lined fairways, strategically positioned bunkers, water features and superb sand based greens. It opens with an inviting par 4 which offers a genuine birdie opportunity to most golfers, and finishes with a long and challenging par 4 which will test a players shot-making skills. A well place drive will pay dividends for those looking to end their round with a low score. In between you come to a gem of a par 3 measuring 136 metres on the 7th with a large pond at the front and 6 protective bunkers surrounding the green . The green is much deeper and longer than it appears from the tee and it has very subtle undulations. This hole was rated as the Best 7th Hole in North Dublin. Into the back nine you will find the rather interesting 12th hole dogleg left measuring 312 metres. Out of bounds on the left, requires a shot of 200 metres to carry the stream. If you play to the right, a slightly longer approach shot awaits. A large pond recently modified protects the front left of the green. The green slopes sharply from back to front. In 2015 Forrest Little celebrated it’s 75 years Diamond Jubilee. Founded in 1940 the original course was at Corballis Links but Members made the move in 1971 to Forrest Little where a superb Fred Hawtree designed 18 Hole parkland golf course was created with a par of 71.